Days after we introduced you to the other side of Maharashtra Navnirman Sena chief Raj Thackeray's, now its time to feast your eyes on photographs clicked by his cousin and Shiv Sena president Uddhav Thackeray. 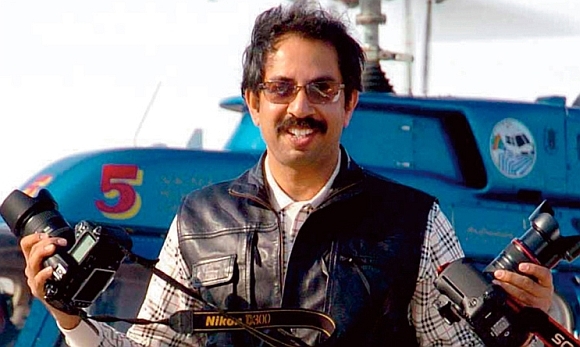 In a book titled Maharashtra Desha, Uddhav depicts the heritage of Maharashtra in form of aerial photographs. The book is divided into several parts; for example, Mumbaichya desha deals with every day life in Mumbai, Kanjkhar desha shows strongholds of Shivaji, such as forts such as Raigad, Torna, Shivneri etc, and Pavitra desha shows the sanctity of the temples in the state. In the first part of this three-part series, you will see pictures taken by him during his many trips across the state. Watch out for photos of Mumbai and temples across the state in the coming days. Shivneri Fort (external link) will always be historic because it's the birthplace of Chhatrapati Shivaji. The fort is a highly defensible location, with steep rocks on all four sides and a strongly-built citadel. An English historian, James Douglas, has written that if Sinhgad is the lion's den, then Torna (external link) is eagle's nest. Shivaji renamed this fort as 'Prachandagarh'. 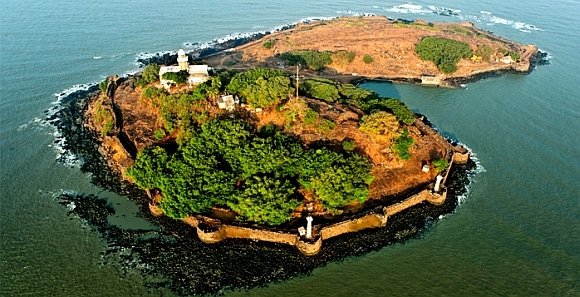 This fort is significant because it is the first fort captured by Shivaji in 1643. Raigarh (external link) is the second capital of Shivaji's empire. Shivaji was coronated here in 1674, and passed away here in 1680. The fort also holds the ruler's Samadhi. 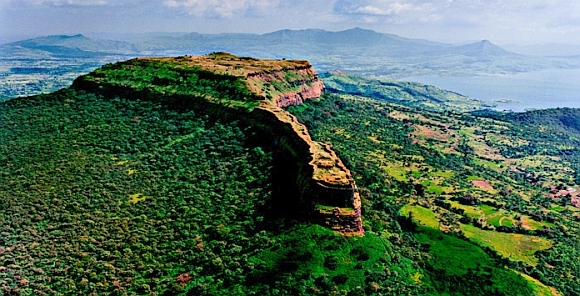 Shivaji built this fort (external link) in the Koyna valley near Mahabaleshwar. It is here that he killed Afzal Khan, an Afghan commander. 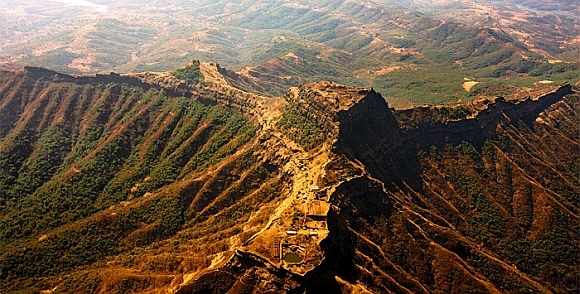 Rajgad (external link) is the first capital of Shivaji's empire. Located in Gunjan Mawal, Shivaji ruled from this fort for 24 years. 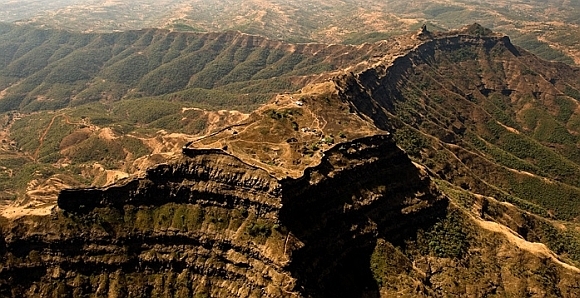 This rugged fort (external link) is located amid thick woods of the Sahyadri Ranges. Shivaji had taken shelter here from Siddhi Johar, an Abyssinian general. 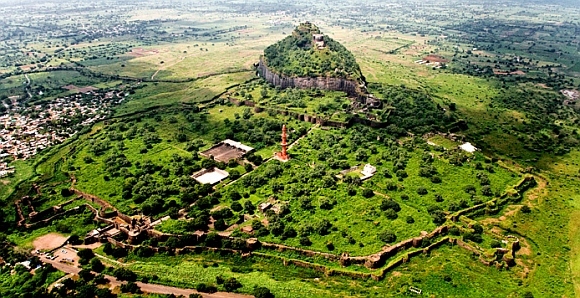 Shivaji's son, Sambhaji was born in this hill fort (external link) near Shivral. A secondary fort near Lohgad, Shivaji renamed this fort as 'Sambalgarh'. The Bhaje Caves are carved on this hillock. 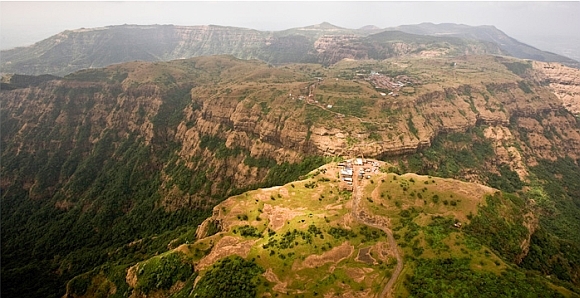 A beautiful hill fort (external link) located in the Sahyadri mountain range between Pawan Maval and Andra Maval. In 1679, Shivaji built this fort (external link) in the face of the relentless attacks by the British and the Siddi frorces. 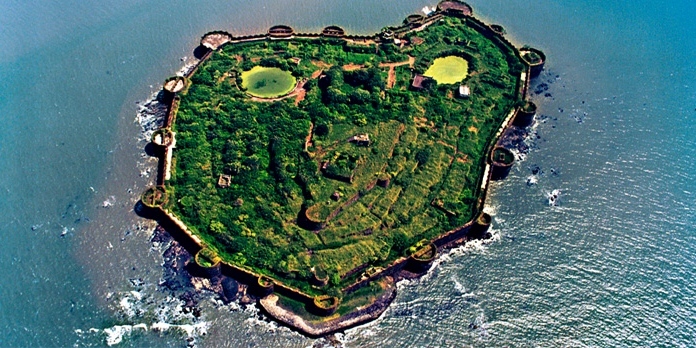 The Siddis built (external link) this fort (also known as Jaidurg) on an island between Khanderi and the mainland. 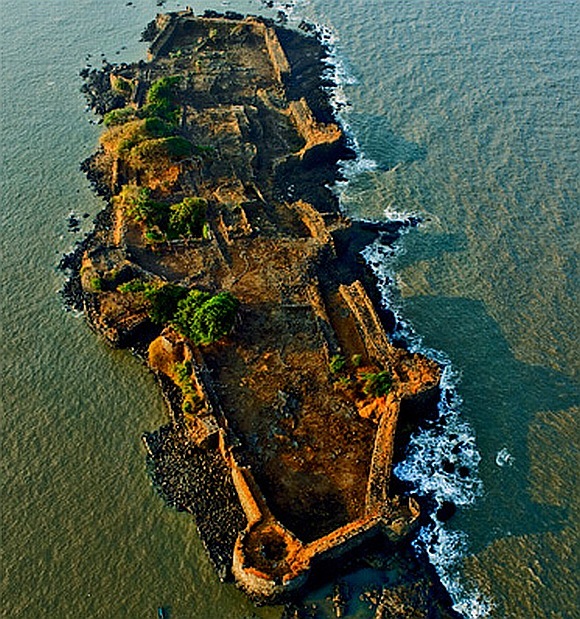 A beautiful fort (external link) in Sindhudurg district. This fort is located at the delta of the Vagothan River. 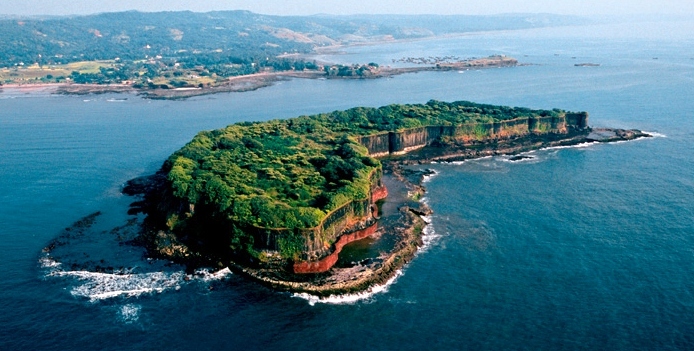 After conquering Surat, Shivaji used the money to build this fort on Kurte island near Malwan, Konkan. Also known as Kulaba. Water envelopes this fort at high tide and its impossible to walk to this fort. A small hill fort (external link) covering the delta of River Kundalika. 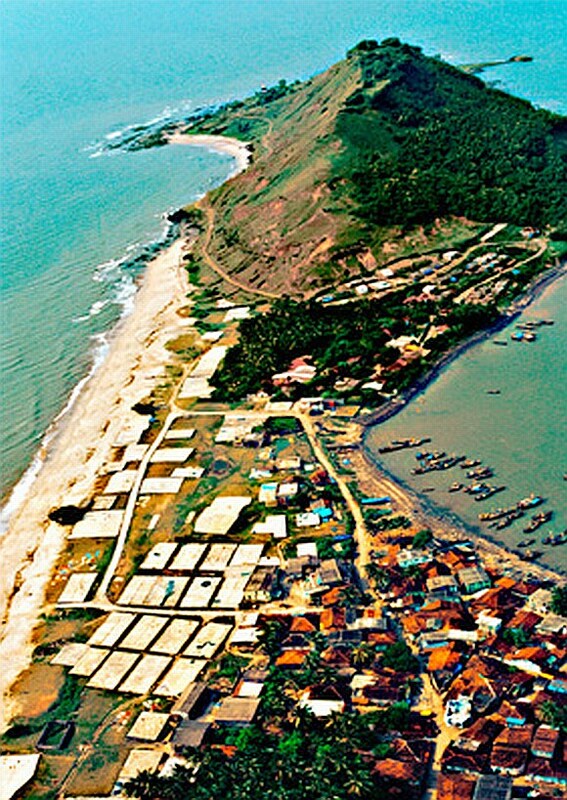 A part of Korlai's population speaks Creole because of its Portuguese past. 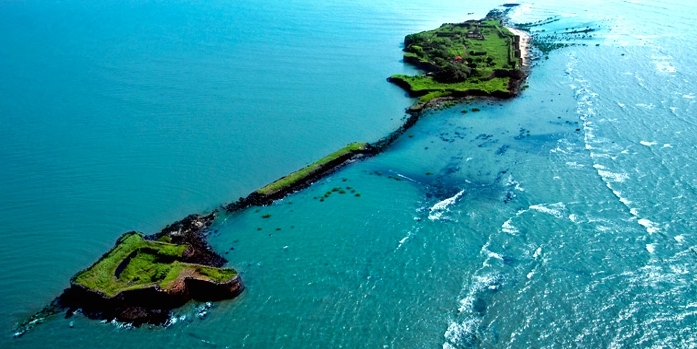 Arnala fort (external link) is located on this island. Out here, there is a lonely bastion called Martello tower. This fort's (external link) name is Janjira Mahruba. This fort of Siddis remained undefeated. 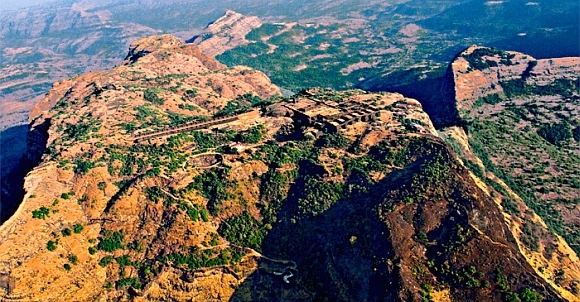 An impregnable fort (external link) in the Dolbari range of Sahyadri. Shivaji sacked the town of Mulher in 1670 while on his way back from Surat. This is a secondary fort (external link) of Suvarnadurg. A beautiful 'Gandbherund' (two-headed mythological bird) sculpture is carved on its gates. An impregnable fort (external link) near Harnai, Konkan. 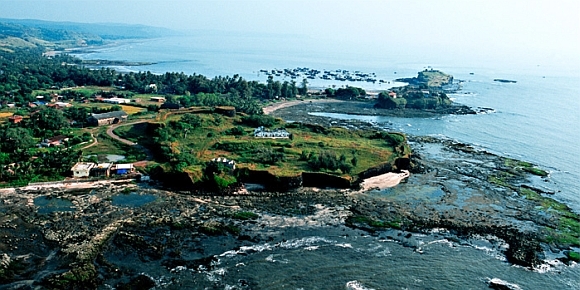 Built on an island called 'Kansa', Shivaji built this fort (external link) as a defensive measure against the Siddis. 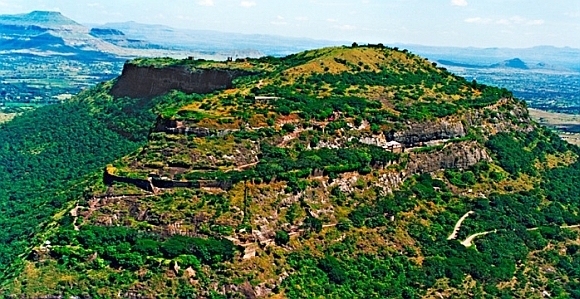 A hill fort (external link) famous for its sheer cliff. There is a bird sanctuary at the foothills of this fort near Pen Panvel. The Samadhi of prominent Marathi saint and poet Samarth Ramdas is located in this fort (external link). Mughal ruler Aurangzeb renamed it as 'Navrastara'. A fort (external link) carved by the Rashtrakuta Empire. Muhammad Tuglak shifted his capital from Delhi to Devgiri. Later, it was the capital of Yadavas. Is this cartoon obscene? Mumbai Police thinks so!